Catherine Capozzi and Axemunkee present "Bring Us Your Women". This arts odyssey is an international collaborative film anthology, live multi media music, poetry and dance performance. Existing and reimagined stories of historic and mythical female ancient figures, each presenting a message that transcends gender and religion. They come from all over the world. The retold stories of all these figures have something to teach us in today's world. A message of humanity that celebrates the different cultures. Bring Us Your Women is a 2018 grant recipient from Iguana Music Fund Club Passim. 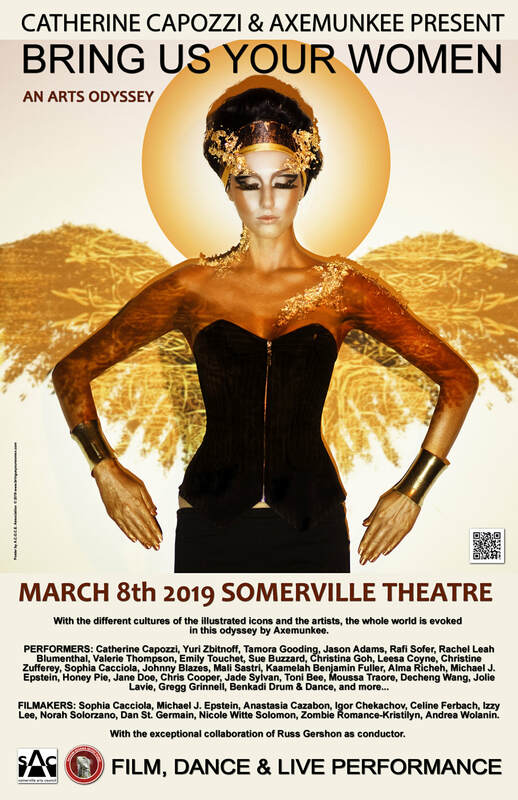 This program is supported in part by the Somerville Arts Council, a local agency supported by the Massachusetts Cultural Council.